We are excited to share the International Book Giving Day 2013 poster with you! 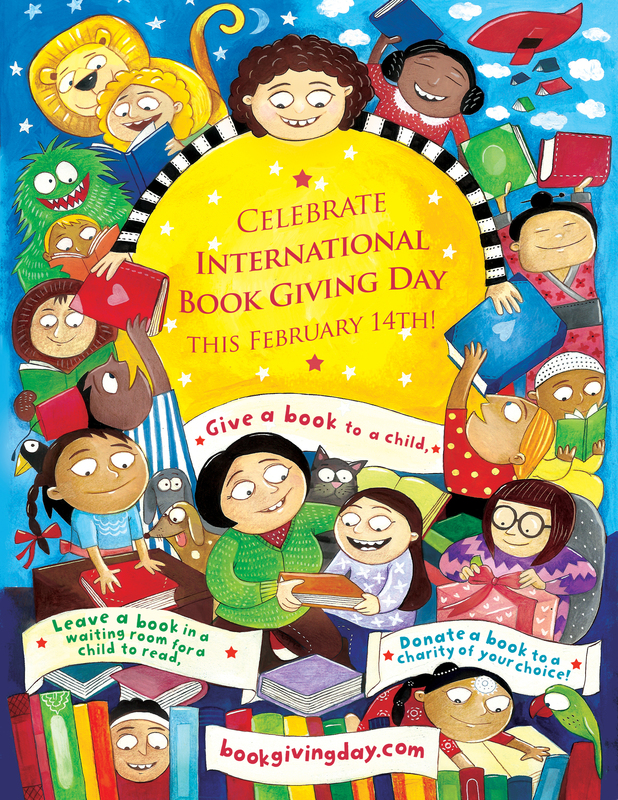 This poster was designed by Indian children’s illustrator Priya Kuriyan and does, we think, an excellent job of conveying what International Book Giving Day is all about to those who are learning about International Book Giving Day for the first time. International Book Giving Day is a volunteer initiative aimed at increasing children’s access to and enthusiasm for books. International Book Giving Day’s focus is on encouraging people worldwide to give a book to a child on February 14th. We invite individuals to 1) give a book to a friend or family member, 2) leave a book in a waiting room for children to read, or 3) donate a gently used book to a local library, hospital or shelter or to an organization that distributes used books to children in need internationally. In addition, we encourage people to support the work of nonprofit organizations (i.e. charities) that work year round to give books to children. Given that this is a volunteer initiative, we are counting on volunteers like you to help us invite people to celebrate! Print this International Book Giving Day poster, and hang copies in your community. Send links to the International Book Giving Day 2013 poster and press release to your local newspaper along with information about any events being planned in your community. See “help organize” for ideas about organizing an event in your community. Invite others to celebrate International Book Giving Day via newsletters, list serves, event calendars etc. Priya Kuriyan was the perfect person to design International Book Giving Day’s poster. She has illustrated books for Room to Read and Pratham Books and believes that it is important for all children to have access to books. Priya Kuriyan was kind enough to answer a few questions for me. Why have you supported the work of Room to Read and Pratham Books? Most families [in India] don’t have disposable incomes with which they can buy books for their children. Sometimes as individuals one doesn’t know where one can start in order to make some sort of a difference. 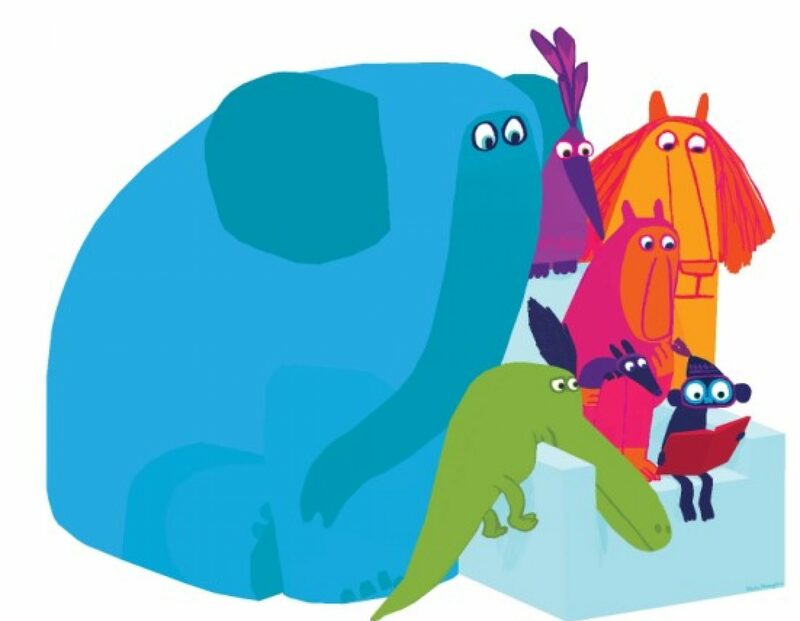 Organisations like Pratham Books and Room To Read have established networks that penetrate deep into India with a readership of nearly 25 million. Most importantly their books are extremely affordable so that almost every child can have a story book in their hands, irrespective of whether they are rich or poor. As an illustrator, the idea that a child in a remote village in India might be enjoying a book that I illustrated makes me extremely happy. Why do you think it is valuable for children in India and elsewhere to have access to books? Apart from the fact that access to children’s books improves the ability to read and articulate, which is in itself an important life-skill, books have immense transformative powers. I remember reading somewhere that, while reading a book, children like adults often relate stories to their own experiences. It provides them with worlds similar to theirs in which characters have conflicts that are similar to theirs; feelings of jealousy, guilt and aggressiveness like theirs along with the need to be loved and accepted. Often these characters also provide them with resolutions to these conflicts which the child could perhaps not found elsewhere. I completely ascribe to this idea as this it describes exactly the experience of reading a book as a child. Do you have any special memories of reading picture books when you were a child? I grew up at a time when India’s economy wasn’t liberalised as it is now. So, access to good children’s books was not very easy even for a middle class household. Due to the Indo-Soviet connection during those days, Russian picture books were very popular and they were my first initiation into picture books. Inspite of being culturally alien, where characters mostly had names like Ivan and Natasha, these books and their illustrations really inspired me. I do remember trying to draw like the illustrators who created those books. Books were far and few, but there was a very healthy amount of borrowing and sharing in those days. I am grateful for those opportunities as a child as they’ve definitely played a huge role in what I do today. Priya was kind enough to share a wordless version of her poster with us and give us permission to create non-English versions. Would you like a poster created in another language? Translate the poster’s message and time permitting we will make one for you. A great idea, and one I’m going to put out there amongst all my friends….